How would your life change if overnight you were to win "The Marshall Tucker Band Sweepstakes"? Suddenly, you were endowed with a 1982 Trans-Am Turbo equipped with a Craig stereo tape deck loaded with the soundtrack to a weekend of destruction? A win like this could completely change the trajectory of your existence. 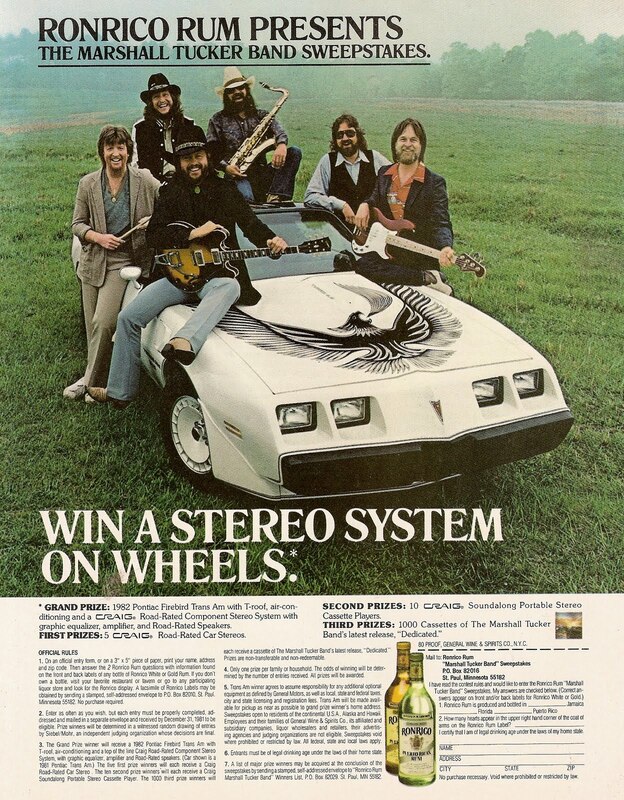 This month in 1981, someone just won a 301 cubic inch, Turbocharged redneck chariot and 1500mL of bad life choices in a bottle. Get ready to burn to the ground, Myrtle Beach!